These babies are your best bet for a somewhat healthy carb fix. Warm, soft, and delicious in 20 minutes or less! And very versatile – feel free to add dried fruit, nuts, vegan cheese, garlic, herbs, spices…read the original post here. In a large bowl, mix together flour, baking powder, and salt. Add milk and oil, and mix until just combined. 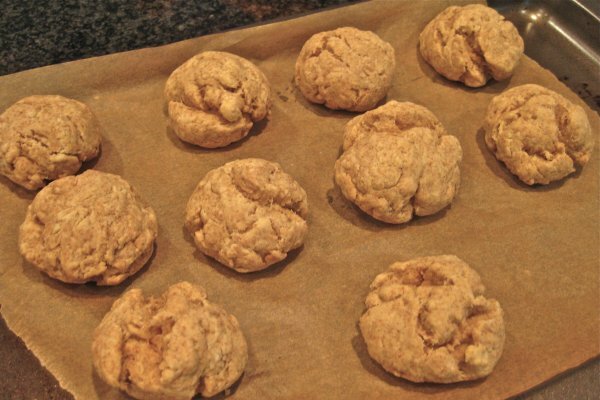 Form the dough into balls the size of a 1/4-cup measuring cup. Place on an ungreased cookie sheet. Bake for 8-10 minutes, or until the biscuits are golden brown.